A food service spray rinse gun is being introduced by Enware that uses less than half the hot water per plate consumed by older designs, yet cleans dishes more quickly to save more energy. FS729 Ultrarinse food service gun is specified to achieve the outstanding six stars rating of Australia’s mandatory new WELS water conservation and labelling laws. According to Enware, the FS729, with a nominal flow rate of four litres a minute, also achieves the internationally respected benchmark of California’s pre-rinse spray valve specifications, introduced to save both water and energy. FS729, locally designed and manufactured product, designed for export to the world’s toughest markets, sets new standards for new and retrofitted installations in a host of markets, including food, beverage, hospitality and retail as well as club, industrial, commercial, educational and health care canteens and kitchens. Based on the proven, rugged and reliable FS721 gun body, the FS729 Ultrarinse incorporates a moulded rubber spray nozzle guard, new high velocity spray pattern and enhanced water technology efficiency. 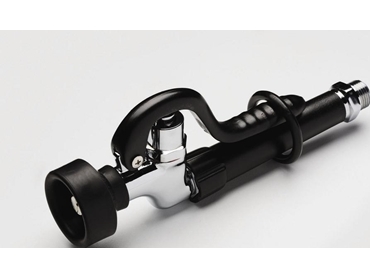 The proven self-closing headwork and handle design has been retained. According to Enware, exhaustive in-house testing, in accordance with AS/NZS3718, AS/NZS6400 and CUWCC-FSTC VS 10 has demonstrated superior performance in cleanability performance, along with significant water and energy saving values. In layman's terms, it uses less water per minute and it cleans faster. This means it saves both water and saves the electricity used to heat the water, with the added bonus of freeing up time previously spent at the sink. As well as in-service testing with one of the world’s largest fast food operations, the gun was subjected to testing under the Californian Pre-Rinse Spray Valve Specification to ensure it performed as well in the real world as in test kitchens. The California specification forms a part of the US government’s mandatory programme for their products, not only significantly reducing both water and energy consumption through their use in commercial kitchen environments, but also establishing a formal test termed Cleanability to ensure the product will perform satisfactorily in real world service. Enware is also been a champion of Australia’s new WELS regulations, which from July 1 this year applies to a vast array of commercial, industrial and domestic appliances, including washing machines, dishwashers, toilet suites, showers, taps, urinal suites and food service tapware. All are now required to be rated and labelled. Products unable to comply will receive a zero star (warning) rating and be labelled accordingly. As it has with this FS729 food service gun, Enware produces tapware with outstanding water efficiency ratings and options, to suit a wide range of performance requirements, right up to six-star rated. 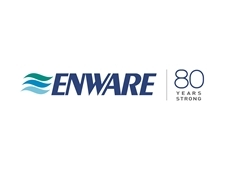 Enware’s WELS-compliant tapware and showers are based on proven core pressure compensating, flow control technologies proven in Enware’s Australian and international markets since 1988. The huge benefit of WELS’ level playing field will be that, finally, product specifiers and users will have clear signposts to the efficiency and subsequent Australian Standards compliance of the products they install. Inferior performance will have no place to hide.